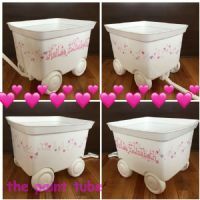 This heart design, thick plastic wagon with handle is great for toy storage and fun to pull around! West Coast oversized shipping charge! !